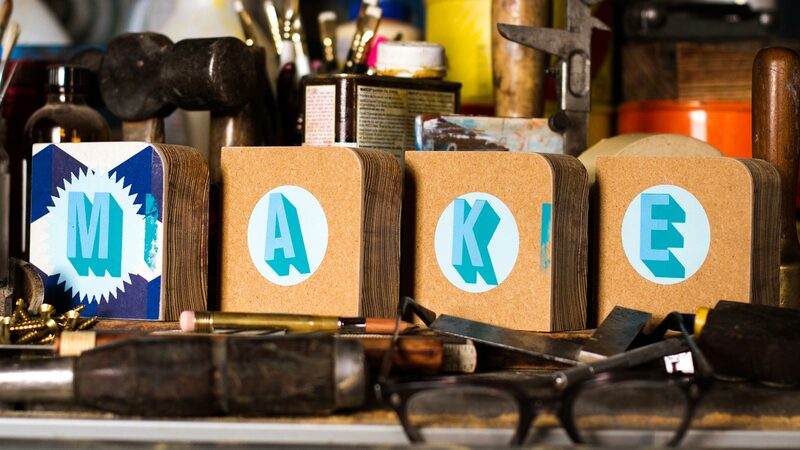 This December, we’re excited to announce our theme of “Make." The theme was chosen by our organizer Sam Aquillano and the Boston team and the video illustration was crafted by the beyond talented MacPremo & Bas Berkhout. From writers to illustrators, programmers to designers, sculptors to architects—our community is made up of a myriad of creative types making interesting things every day. From Atlanta to Bangalore, this month promises to highlight those who make and why they do it. Andy Kelly The importance of making friends. Xavier Alexandre Be ready to hack your kitchen! It is something wholly different to say actually how we structure our business, the core DNA of our model, is going to be the thing that makes an impact on the world for the better. We're all actively engaging in consumerism, and so our hope and vision is how do we hijack that and not say let's get rid of it, because it is an incredibly powerful force that can be for good or for bad. If you really want to do something, if you really want to help, you should employ people, you should give them something to do. Which, as a 22 year old idealistic journalism student completely turned my world upside down. We all know that it is better to fix things than buy new things. Sentirnos vivos y no en modo automático. With my ignorance and my ego, I decided to make it. To make stuff, sometimes you have to do nothing. Spacing out is great for your brain. What is it about making that makes me want to make? In the absence of hope, we hope we can find acceptance. Our business is only as sustainable as our community is educated and engaged. Writing helped me understand the world around me. Some fonts are like people. They can be attractive, even if they're not pretty. Pennsylvania is the largest liquor purchaser in the country. It is important that I continuously distinguish the role that making has in what I do. For me, making provides an almost childlike sense of wonder and joy. Creativity feels a lot like magic, but it isn't. I'm a morning person. I like to wake up and do something before somebody asks me to do something for them. I saw the liquor store sign, and I thought 'I should make a font called Liquor Store! ', and then I did. He’s taught me everything I know about making, and what it’s really like to be passionate about something, and I’m really passionate because of my dad. He documents the process as well. That’s why I do it with my own work. And it’s tells the story to see this process, and it just makes the end result so much better. When life gives you lemons, what will you make? Ninety percent of graphic design is communication. We need clients. We depend on users, the public. Alas, all that glitters is not Gotham Inline Extra Light Reverse Italic. If a company doesn't want to work with you, then move on, because there are a lot of companies that want to do genuine content. Make, to me, is just hanging out with other creative people and making cool things. I realized as a designer how much we privilege the visual over everything else. I've come to appreciate the cracks and what they represent. My lemon has always been verbal communication, so my way to sweeten that lemon has been through my art. Part of making is a 70% failure rate. Be the best prepared person in the room. Make some noise because if you don't say it out loud, chances are you won't get heard. The convenient 'someday' never comes unless we make it a priority and dedicate the time. Significant ideas can come when you give yourself time to play. I think we all have this unrealistic expectation that everything we make should be good and perfect even when we're learning something new. The more different types of hands-on learning that we do, the more we are capable of learning and doing because all of our skills are interconnected. December 14 Invasión Creativa: ¡El público toma el escenario! December 19 Florent Defay "Find your inspiration"